This program serves as a supplement for veterans returning to school after their service. 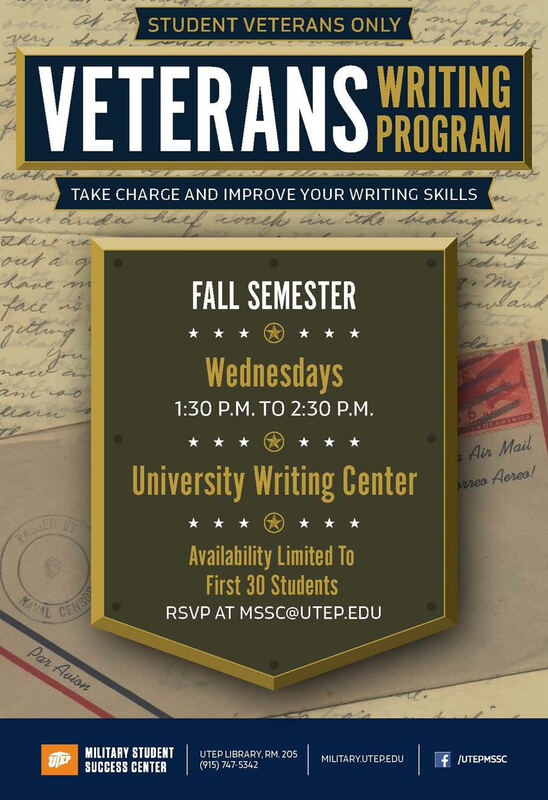 It aims to assist those in First Year Composition, but may help veterans in all their writing life stages. Veteran students are encouraged to participate as their schedule allows. This program seeks to reach to veterans specifically now, but hope to allow all military affiliated students in the future. Availability limited to the first 30 students. 1:30 PM to 2:30 PM.